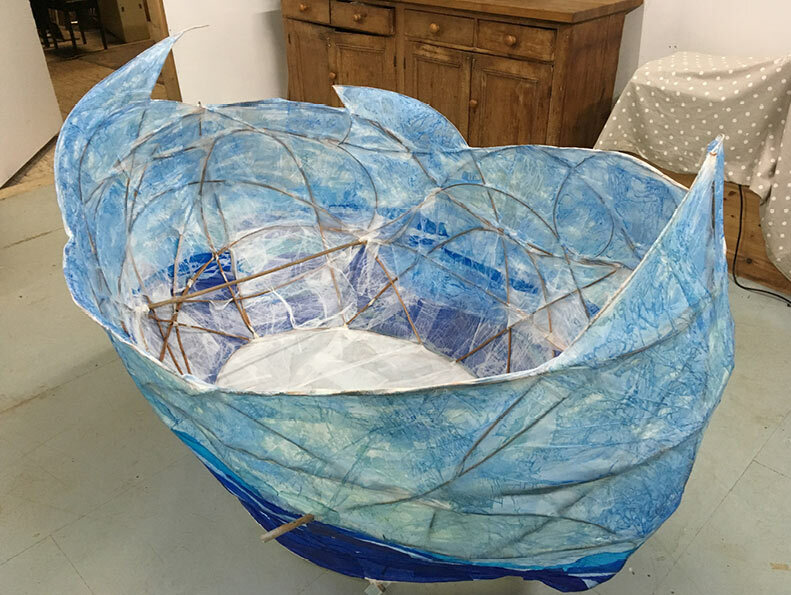 Tissue paper and withy construction for Plastic Free Lewes ‘unwrap the plastic’ event. It represented the sea, and filled up with unwanted plastic gradually covering a life size cutout of Sir David Attenborough. Quilt design and pattern for a bed throw, inspired by a stained glass window.